Central Bank of India, a government-owned bank, is one of the oldest and largest commercial banks in India. It is based in Mumbai which is the financial capital of India and the capital city of the state of Maharashtra. Faculty: Candidates who have completed MSW/ MA in Rural Development / MA in Sociology / Psychology / BSc (Agri.) / BA with B.Ed. or equivalent from a recognized Institute for Central Bank of India Recruitment 2018. Office Assistant: Candidates who have completed BSW/BA/B.Com with computer knowledge or equivalent from a recognized Institute for Central Bank of India Recruitment 2018. 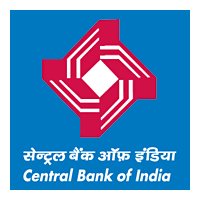 Eligible & Interested candidates can download the Notification & Application form on the Official website page at www.centralbankofindia.co.in Central Bank of India Recruitment 2018.